Public sculpture is a big draw in today's cities. Nowhere is this more the case than in New York, where urban art has become synonymous with the municipal `brand', highlighting the metropolis as vibrant, creative, tolerant, orderly and, above all, safe. Sculpture in Gotham tells the story of how the City of New York became committed to public art patronage, beginning in the mid-1960s. In that moment of political turbulence, cultural activists and City officials for a time shifted away from traditional monuments, and joined forces to sponsor ambitious sculptural projects as an instrument for urban revitalization. 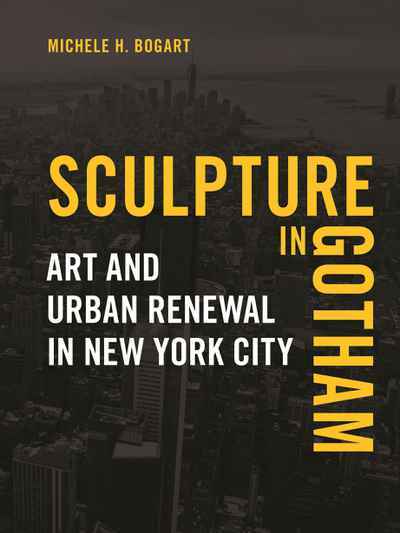 Focusing on specific people, agencies and organizations, and both temporary and permanent projects over the decades since the 1960s, Sculpture in Gotham reveals the changing forms and meanings of municipal public art. It illustrates how all this happened at a time when art theories and styles were changing markedly, and when municipalities were reeling from racial unrest, economic decline and countercultural challenges to culture and the state. Connecting public art activity to agendas of urbanism, Sculpture in Gotham offers new contexts for tracking national cultural trends through the exploration of one specific locality. It also provides a new understanding of civic activism and collaboration as a cultural force in urban America.